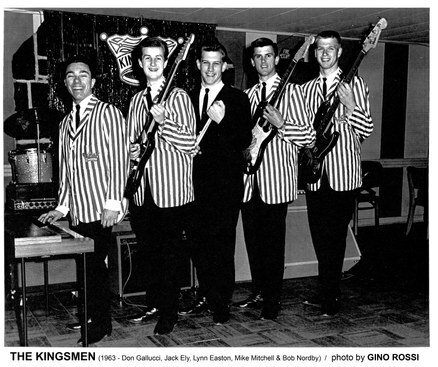 The life of one of the world’s most ubiquitous rock n’ roll anthems - the song that every teenager bangs out on their first guitar - stretches far beyond the Kingsmen’s definitive version and “Animal House.” As performed by the Kingsmen, and as it began tearing up the charts “Louie Louie’s” ambiguous lyrics became the target of a lengthy FBI investigation. 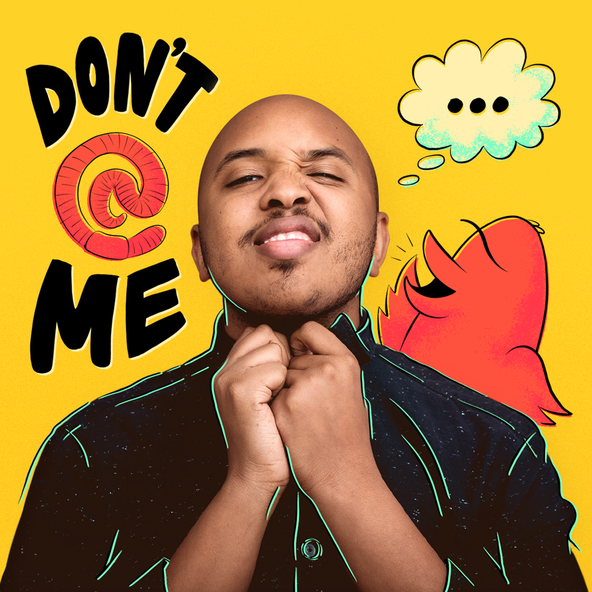 By this point, its writer Richard Berry had already sold the rights to this soon to be national phenomenon in order to buy an engagement ring. But the song comes back into his life later in a most spectacularly 1980s fashion. Portrait shot of "Louie Louie" songwriter Richard Berry. 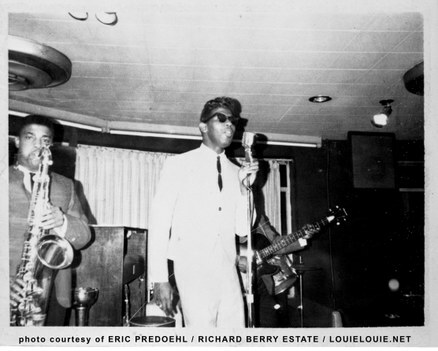 Richard Berry performing in a nightclub, date and location unknown. 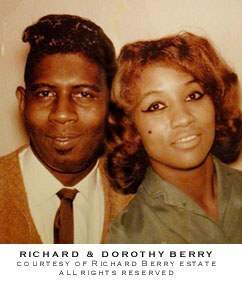 Richard Berry with his wife Dorothy. vulgarity of "Louie Louie's" lyrics which began in 1964. Thank you to Dave Marsh, author of "Louie Louie: The History and Mythology" for his contribution. 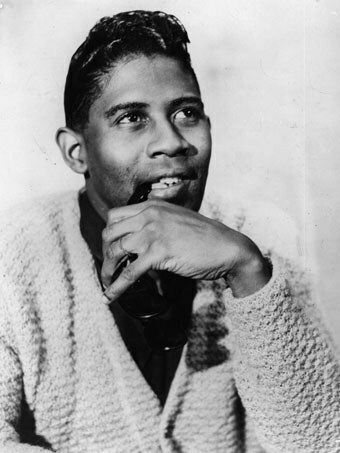 Special thanks to James Austin for letting us use clips of his interview with Richard Berry. All photos are courtesy of Eric Predoehl owner and operator of louielouie.net.